The patent war between Apple and Samsung was in the news a few weeks ago. 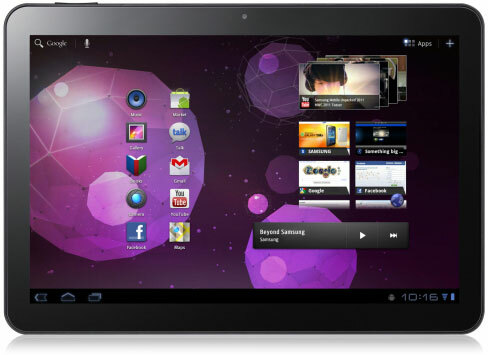 And for that German court recently decided not to lift the ban on the Galaxy Tab 10.1. But from a report by OSnews the German retailers will technically be allowed to sell the remaining stock of the Tab. The fact here is that the German retailers cannot restock by ordering from Samsung’s German branch, but instead from other branches, for example Sammy’s Korean branch, can provide more stock to retailers in Germany. OSnews also said that Media Markt, a popular electronics retailer in Germany and The Netherlands is not sure how the ban may affect the business, but could easily trade Tabs through The Netherlands even avoiding the violation of the ban. This is really good news for the German consumers who might like to get one of the devices, but it’s still an extra load for the retailers if Samsung doesn’t decide to reroute the Tablets for them.